Liam joined the firm in January 2018, taking on the role of IT Manager. He studied at Brighton University, gaining a 2.1 qualification in Software Engineering (Hons), before running his own software development house, for a time. During late 2001, Liam side-stepped into IT Management, choosing to work for a pre-employment screening agency. In 2004, he entered the legal sector and became the IT Manager for Wynne Baxter, and was instrumental in the firm’s IT merger with Mayo & Perkins, forming Mayo Wynne Baxter, where he headed up a team supporting 9 offices. He left the firm in late 2009, and took the role of IT Manager for Rawlison Butler; he remained with the firm for over 7 years, completely overhauling its IT infrastructure and driving forwards operational efficiency. Following another merger, he became the IT Manager for DMH Stallard then left the firm at the beginning of 2018 to join Bennett Griffin. 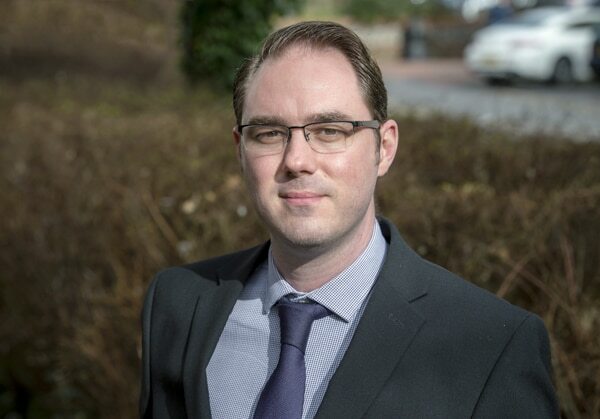 With over 15 years of experience in IT Management – 12 in legal IT – Liam hopes to develop Bennett Griffin’s IT capability, ensuring that the firm is well placed to embrace the economic challenges ahead, in a post-Brexit world, through the correct application of technology. When away from the office, Liam enjoys burying his head in his own world, having published three fantasy novels, globally, with a fourth in the works. Liam also enjoys web applications development – being an accomplished software developer – and likes to spend time painting, war-gaming , paintballing and wind surfing, albeit the latter is more of a distant memory now, given the challenges of raising an extremely active six year old son, with his wife Emma.